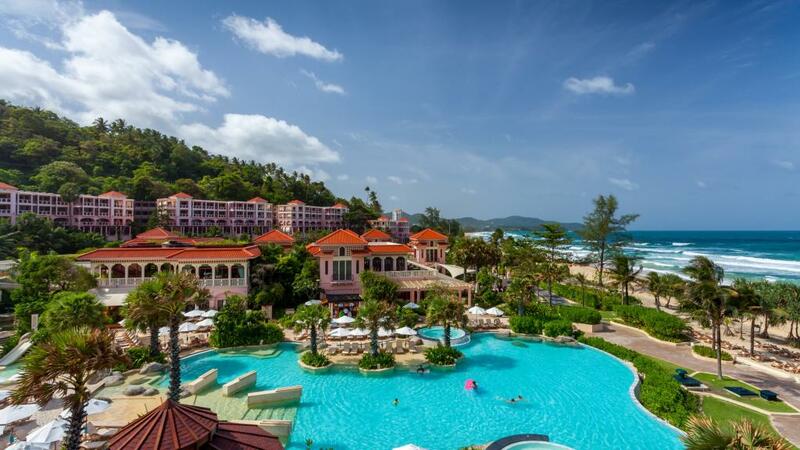 Centara Grand Beach Resort Phuket offers a stunning location on the edge of Karon Beach. Spend the day relaxing by the resort pool, head out for a swim in the ocean or explore the surrounding towns of Kata and Patong. This Phuket accommodation is ideal for couples and families after a place to stay that is close to the beach, attractions and shopping. Centara Grand Beach Resort Phuket is perfect for a family holiday or romantic getaway in Thailand. This five star Phuket resort offers spacious rooms with stunning views of the Andaman Sea, all with private balconies and modern amenities. This Phuket accommodation is located on the white sandy beaches of Karon and a short drive from Patong Beach. Shopping, entertainment and activities are within walking distance of this luxury resort.